As you’re well aware by now, when buying a new home you need to purchase title insurance, as this protects you in case the seller does not have a free and clear title to the home they’re selling. But what about new construction, surely the same rules don’t apply, right? Wrong. When you buy a home, the original seller is transferring that title deed to you. This is on the assumption that the seller themselves has full possession of the title, without any liens on the property or shared interest in the property. This is where the title company comes in. They will perform a title search on that property to ensure the deed is free and clear. And as much of a pain and frustration it is when the title company uncovers a title defect or issue, it’s better to find out now than when it’s too late. There are, however, circumstances that can arise where ownership of the title can fall into dispute. Somewhere along the line someone may have misfiled or improperly recorded the paperwork related to the title, there could have been fraud involved, or an heir could suddenly come out of the woodwork and claim that the family property is partially theirs. And when you consider the costs involved with a legal saga, or the possibility that you could lose the property in the end, the cost of title insurance doesn’t seem all that expensive in comparison. Now you may still be wondering, “OK, that’s all fine and dandy. But these scenarios all involve properties with a previous owner. What about new construction, I’m off the hook, right?” Well, actually, no. Someone still owned the land which you are building a house on before you did, and the title to that land may at some point have come into dispute. To be frank, there’s no land you can rely on to be completely 100% claim-free. 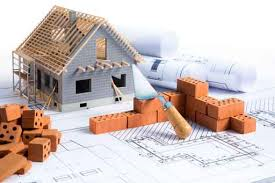 Any newly constructed home will be built on land that has been around for a long time, and may even have been part of a larger parcel that may have undiscovered claims. No matter how confident you are in the builder or how many developments they’ve been involved in, there’s still a risk for things like a contractor putting a lien on the home. But even more important to remember, title insurance covers mistakes made in the recorder and registrar of deeds offices. And one last point to remember, in regards to the cost of title insurance. Consumers have the right to shop around for title insurance, they do not have to use whatever company their realtor or lender has chosen or recommended. As consumers, we routinely shop around for better prices on other things that are important to us, why not also do that for the most important and arguably most expensive purchase in your life. We’ve tried to share a large amount of info on a lot of topics surrounding title insurance. 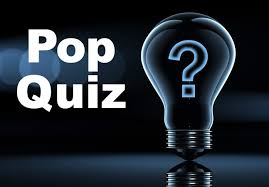 Let’s see how well you remember that info with a little pop quiz. Who does the attorney at the title company represent? The title company represents the lender. If a transaction is $242,400, what is the amount of transfer tax on the transaction? What is a “title commitment”? It’s when the title company tells the lender that they will issue a title insurance policy subject to their requirements. A town’s tax year runs from July through June, with taxes typically paid October 1st and March 1st/ If you are closing on February 10th, who will receive a credit at closing for taxes if they are already paid? The seller received the credit (March is already paid). What is a “mil rate”? What is a “back policy”, and how is it useful to title companies? A back policy is evidence that a title search has previously been performed on the property and the title company is able to rest upon that and begin its own title search at that point. What is a “warrantee deed” vs. a “quitclaim deed” vs. a “release deed”? Warrantee Deed – conveys the property with certain promises or covenants, which last forever. Quitclaim Deed – the same as a warranty deed, except covenants only last during the seller’s period of ownership. Release Deed – no covenants at all. What changes to a closing disclosure will trigger a new 3-day waiting period to start? Change to the APR, adding a pre-payment penalty, a loan product change which causes the disclosed information to become inaccurate. 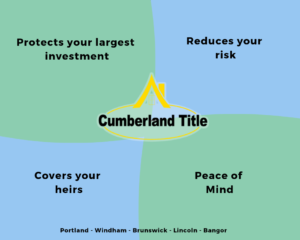 We’ve written in the past about the precautions and procedures that Cumberland Title uses to keep your information safe while it’s in our hands. But there are also some pretty simple but important steps that everyone can take to keep their personal workstations safe and secure from fraud. These days, simply locking your office door isn’t enough to stay safe in today’s fast-paced business world. It’s important to remember that cyber thieves aren’t the only threats lurking, and that keeping our workstations themselves from falling prey to threats and risks is also important. Passwords: Yes, it can be a real pain to have and have to remember multiple passwords for different systems, and it may seem convenient to use the same one for all systems, or choose one that’s simple to remember—or even share it with co-workers. Lest we learn nothing from the 2016 Verizon Data Breach Report which confirmed that 63% of confirmed data breaches were a result of weak, default, or stolen passwords. Mobile devices. Where to begin with this one… Imagine losing your work issued cell phone, or having it stolen. Treat this device like you should your work computer, and lock it up! That’s right, password protect that sucker, too. And remember to back up that data in the event it is lost or stolen. A leading study showed that in the event of thefts involving mobile devices, 25% occur in cars and transportation, 23% in the office, and 15% in airports and hotels. Working in public on a laptop. Thieves are opportunists who will seize any opportunity, especially when you make it so tempting and easy for them. 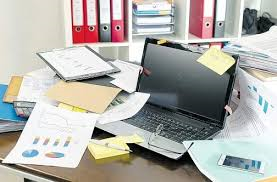 They are not above looking over your shoulder at your screen or stealing hardcopy papers you may have lying next to you, should you step away for only a second to grab an extra sugar for your coffee. Don’t make it any easier for them. For those of us who have been in a real estate closing – regardless of what side you’re on – you can appreciate that there are a LOT of checks and balances happening during that transaction, let alone an enormous amount of paperwork. Aside from procuring the necessary documents, ordering payoffs, checking taxes and titles, and putting together all of the necessary documents, it is the title company’s responsibility to ensure that funding has been received. It is extremely important to note that the transaction cannot be completed until that check or wire is received. Even if all the paperwork has been signed and that’s all you’re waiting around for. No money = no completed transaction. Likewise, if would be irresponsible for the title company to hand out any checks before the transaction has been officially funded. 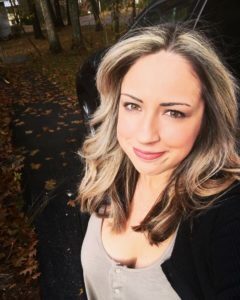 Any title company or settlement agency that plays by the rules knows that this is actually a violation of the Bar Rules governing attorneys, Maine’s statutes, and quite possibly a violation of most lender’s closing instructions. To do this would put many parties involved in the transaction in a very precarious – and culpable – position. From the perspective of a title company, trust accounts are highly regulated as they contain money that does not belong to them. The money contained in them belongs to other people who have transacted business through their company. 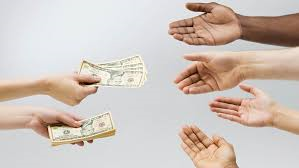 They should never be using funds from one customer to fund a transaction for another customer. And by handing out checks before funds are received, that is essentially the exact scenario that is happening. One very important point to note here also, is that Maine is what’s called a “wet funding state”. In short, that means that closings are not even supposed to happen without funding that is available to the parties. 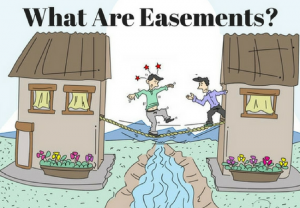 Many other states have an escrow system when real estate is transferred, where it’s a matter of course that checks are not given at the table (dry funding states), and the closing is essentially done in escrow. But checks are not handed out in this case either. 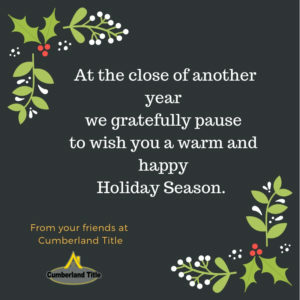 From a customer service perspective, Cumberland Title aims for all of our closings to be smooth and error-free. Unfortunately, there are times when a wire is taking longer than anticipated to reach us before the conclusion of signing the closing documents, and rather than just saying, “Oh, I’m sure it’s on the way, let’s just call it good and get you all on your way”, we have to cross all the T’s and dot all the I’s in accordance to the law as well as the procedures we have in place that are designed to protect all parties involved in the transaction. This all amounts to both legal and ethical concerns, both State law as well as attorney Rules of Ethics. As always, we are always here to answer your questions and shed light on the parts of the process that may seem unclear or confusing. We pride ourselves on our reputation for clear, concise, transparent transactions and communication. Please do not hesitate to reach out to us at 207.899.4900, or matthew@cumberlandtitle.com. The way that mobile homes & manufactured homes are handled is a little bit different than a standard real estate closing. Anything related to real property (real estate), must be recorded in the Registry of Deeds in order for it to be valid on a title or subject to a lien. However, some mobile homes could also be considered motor vehicles, or personal property. In this case, instead of being recorded at the Registry of Deeds or discovered during the title search, a lien on a motor vehicle would actually be noted on the vehicle’s certificate of title. Therefore if the title company only searched the Registry of Deeds, they could miss something huge if they don’t also check the Secretary of State’s records, where motor vehicle and personal property is recorded. Also important to note is in the case of manufactured “pre fab” homes, the individual pre fab pieces that are delivered to the land are considered personal property until they are erected into a finished dwelling and attached to the land. Likewise, a mobile home becomes a home and no longer a vehicle once the wheels, axle and tongue have been removed, the home has permanently been affixed to the land on a permanent foundation, and the title has been cancelled with all other state agencies (ie: Secretary of State’s office) that handle mobile homes in the state of origin and the state it’s been affixed to land in. If you have questions about title insurance and how that applies to a mobile home, give us a call, we’re happy to help, 207-899-4900.